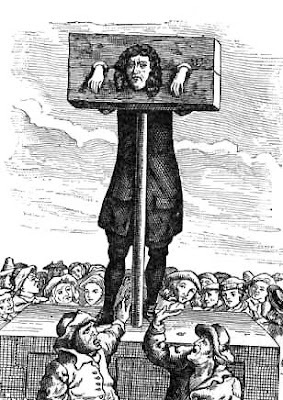 This post looks at a classic objection to utilitarian theories of punishment. It starts by setting out the objection as clearly as possible. It then considers the potential replies to the objection. A utilitarian theory of punishment maintains that it is right and proper to punish people for committing a crime, if doing so serves one (or more) of a set of morally desirable goals. According to Howard Simmons’s book Moral Desert: A Critique, these goals can include the following: (i) preventing repeat offences (through incapacitation); (ii) encouraging deterrence (through signalling an intent to punish); (iii) promoting moral education (by forcefully communicating normative standards); (iv) providing emotional catharsis (for the victim or family of the victim); and (v) rehabilitating the offender. Some of these goals may be more commendable than others (Simmons certainly thinks so), and aiming to achieve one may prevent or undermine the achievement of others. These are things that any fully-developed utilitarian theory of punishment will need to work out. But for the purposes of this post I’ll be ignoring them. Instead, I’ll be focusing on a problem that is supposed to confront nearly all utilitarian theories of punishment (with perhaps the sole exception of pure rehabilitative theories). This is the problem of innocent victims. (1) If utilitarian theories of punishment are true, it is right and proper to punish people if doing so will serve one (or more) of the following goals: (i) preventing repeat offences; (ii) deterrence; (iii) moral education; or (iv) emotional catharsis for victims of crime. (2) It is possible that punishing innocent people could help us to achieve goals (i)-(iv). (3) Therefore, if utilitarian theories of punishment are true, it could be right and proper to punish the innocent. (4) It is not right and proper to punish the innocent. (5) Therefore, utilitarian theories of punishment must be false. In the remainder of this post, I want to see whether this problem can be dealt with by proponents of utilitarianism. Before doing so, I want to briefly check to see whether the above argument is prima facie plausible. Looking first to premise (1), I note that this is simply a restatement of the utilitarian thesis. As such, I can see no reason to reject it. Turning then to premise (2), I appeal to the standard thought experiments that are used to support it. Sheriff Case: Imagine that you are the sheriff in an unruly town that has recently been struck by a series of murders. The townspeople are convinced that a certain person (call them “Jack”) committed the murder. They call upon you to execute Jack in your official capacity. But you are pretty sure that Jack is innocent. You try to tell the townspeople your reasons for thinking this, but they don't seem to care. You know that if you do not carry out their wishes, the town is likely to descend into anarchy and violence. These outcomes are contrary to the goals you seek to achieve by having a system of punishment in the first place. The suggestion is that, if you were a utilitarian, you should have no objection to executing Jack in this scenario. This seems, prima facie, a plausible claim to make. Premise (3) follows from the conjunction of (1) and (2), so there can be no objection to it here. That leaves us with (4) as the one potential remaining source of controversy. Note here that (4) is intended to be a description of an intuitive judgment about punishing the innocent. Of course, we are entitled to question how seriously we should take such intuitive judgments. But this kind of questioning can only come after we engage in a more detailed analysis of the assumptions underlying the above argument. Looking at the surface level, we have no reason to reject it. Since (5) would follow from (3) and (4), it looks like the argument is indeed prima facie plausible. The question we must now ask is whether, once we go beyond surface appearances, the argument remains plausible. 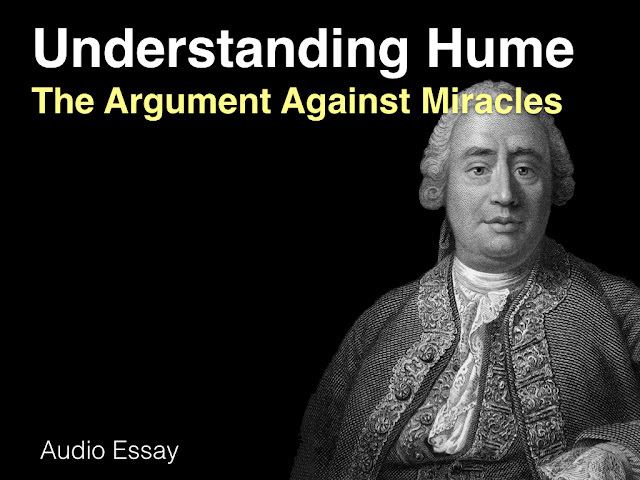 So how might a utilitarian undercut the plausibility of the preceding argument? Two strategies — hinted at above — seem workable: (i) challenge premise (2) by arguing that punishing the innocent would never lead to the desirable consequences listed above; or (ii) challenge premise (4) by arguing that punishing the innocent is not necessarily wrong or that the concept of innocence is irrelevant to utilitarian justifications of punishment. Let’s consider both strategies in turn and, to make things slightly less complex, let’s assume that deterrence is the consequence we are trying to achieve with our system of punishment. Granting that assumption, proponents of the first strategy might argue in the following manner. First, they might argue that deterrence — at least in the present context — requires the presence of an act of wrongdoing. In other words, they might argue that since our goal is to deter people from wrongdoing, we must assume that there are actual wrongdoers out there. Second, they might argue that in order for a punishment to have a deterrent effect, there must be a link between it and the act (or acts) of wrongdoing that are being deterred. That is to say, the punishment must only arise after acts of wrongdoing, not after other kinds of act. Think of it in terms of the conditioning experiments of the behaviourist psychologists: in order for a particular behavioural response to be provoked (or suppressed) by a particular kind stimulus, there must be a reliable link set-up between the presence of the stimulus and the presence (or absence) of the behaviour. If there is no reliable link between the two, then the chances of provoking (or suppressing) the relevant behaviour are limited. So, similarly, if the link between wrongdoing and punishment is broken, we can’t expect the system to deter people from wrongdoing. This is what would happen if we started to punish the innocent. (6) The goal of a utilitarian system of punishment is to deter future acts of wrongdoing. (7) In order for a particular kind of behavioural response to be successfully provoked (or suppressed) by a particular kind of stimulus, there must be a reliable link between the response and the stimulus (i.e. if one happens then the other must also happen either at the same time or soon after). (8) A system of punishment is a kind of stimulus and an act of wrongdoing is a kind of behavioural response. (9) Therefore, in order for a utilitarian system of punishment to be successful, there must be a reliable link between the punishment and acts of wrongdoing. (10) If we start to punish the innocent, then there will be no reliable link between punishment and acts of wrongdoing. (11) Therefore, a successful utilitarian system of punishment cannot allow for the innocent to be punishment. There are two objections to this argument. First, there is an obvious objection to be made to the theory of human psychology appealed to in premise (7). Even if we stay within the behaviourist tradition, we find those who object to the idea that the link between a stimulus and a response must be 100% consistent. Thus, for instance, B.F. Skinner argued that inconsistent (or, rather, probabilistic) “schedules of reinforcement” could be even more effective (addictive, in fact) for conditioning certain kinds of behaviour. If that’s right, then a system of punishment which is not 100% consistent in who it punishes might be better than one that is. I'm not an expert in behaviourist psychology so I could well be wrong about this, but it seems like a possible objection nevertheless. The second objection is not an objection to the argument per se, but, rather, an objection to its relevance to the problem of punishing the innocent. Recall that premise (2) of the original argument merely appeals to the “possibility” that punishing the innocent might serve a deterrent goal. This mere possibility is then thought to be enough to counter utilitarianism. In other words, premise (2) is suggesting that if the utilitarian theory is not true in all possible worlds, then it is not an acceptable theory. (This focus on truth across all possible worlds is actually a common argumentative ploy in moral philosophy). Premise (2) does not make any claims about what is needed for a successful system of utilitarian punishment. So, in its present form, premise (11) does not actually defeat premise (2). This raises a general concern about the use of logical possibility as a standard for testing ethical arguments. Is it really true that we need to prove that our ethical principles are true in all possible worlds before we can accept them? I was at a seminar just last week where one participant defended the use of this standard in ethics. At the time I didn’t voice any objections, but on reflection I worry that it sets the bar at a ridiculously high level. Admittedly, that high level is common to many philosophical disciplines (epistemology anyone? ), but surely ethics needs to be more sensitive to both our inability to explore all possible worlds and to the outlandish nature of some possibilities? Surely it would be better use probability-of-happening-in-the-actual-world as a standard? 3. Could it be right to punish the innocent? We turn now to consider the second strategy in responding to the original argument. This strategy, as noted above, focuses on the plausibility of premise (4). On the face of it, this premise looks pretty robust: the idea of punishing the innocent seems about as clear an instance of a wrong as one could imagine. Thus, this seems like a less promising strategy for the utilitarian. Still, there are a couple of things that can be said in its defence. For one thing, there is the whole idea that the appeal to “innocence” is question-begging. Why? Because it is a holdover from a retributive, desert-based theory of punishment. It has no place in a utilitarian theory. After all, the idea that some people are innocent and so shouldn’t be punished is clearly based on the notion that responsibility and desert are both coherent and significant moral concepts. It is open to a utilitarian to reject both of these notions. They could do so by appealing to some form of hard determinism. According to hard determinism, no one is ever responsible for anything they do, and since responsibility usually goes hand-in-hand with desert, it would follow that no one ever deserves punishment. This, however, does not mean that punishment is unjustified. It could be that punishment is a kind necessary evil, something that is justified because it is needed to maintain a desirable level of social order. This is, in many ways, consistent with the traditional utilitarian approach to punishment: all harm is evil and punishment is a form of harm, but some evil is acceptable if it allows us to achieve a greater good. Now, to be fair, hard determinism has plenty of critics: it has a number of counter-intuitive and unwelcoming implications. If you wished to use it here, you’d need to know exactly how hot the philosophical water into which you were getting was. Still, it is a possibility for the defender of utilitarianism. Another objection to (4), this one made by Simmons in the course of defending his own utilitarian theory, focuses on the alleged unjustifiability of punishing the innocent in the extreme one-off cases. It’s these kinds of cases — such as the Sheriff one — that are most commonly used to support the problem of punishing the innocent. What’s more, it’s these kinds of cases that are not vulnerable to the “punishing the innocent is not likely to be successful”-argument that was discussed above. But when looking at these extreme cases, Simmons argues that the intuitive pull of the “punishing the innocent is wrong”-judgment is much less robust. These are hard cases (or dilemmas), ones in which both outcomes seem undesirable and so intuitions clash. He thinks that if we really thought hard about a case like the Sheriff one, and if we accepted all the assumptions it asked us to make about the probability of certain outcomes, we might be less inclined to reject the utilitarian approach. Thus, premise (4) is at least questionable in these extreme cases. Note that this objection shows how the sword of logical possibility cuts both ways: if the utilitarian must abandon their position if a logically possible, if improbable, scenario suggests that punishing the innocent might achieve desired outcomes, so too must the non-utilitarian abandon their intuitive judgment if a logically possible, if improbable, scenario leads us to seriously doubt our previously robust moral intuitions. Perhaps this is yet another reason to abandon the logical possibility standard. Has anyone tried to wiggle out of the problem by arguing that knowingly doing something dreadful to an innocent person is not properly characterized a "punishment"? This move might paint the situation in the (somewhat) less alarming general terms of doing harm to one person for the sake of many others. A utilitarian defender could claim that it's the unfittingness of the vocabulary which inflames especially negative reactions to these kind of anti-utilitarian stories. I'm not sure how it makes the situation less alarming though. I see the first step - i.e. that the vocabulary is emotionally charged and removing it might thus quell those emotions - but wouldn't a modest amount of probing reveal that a problem remains? I mean, intentionally harming a person is prima facie wrong, so without further explanation there would still be a negative reaction, wouldn't there? Still, I think this does play into the utilitarian court since it would focus the mind on the traditional argument: all harm is bad (irrespective of guilt or innocence), it's just sometimes necessary in order to achieve more desirable outcomes (or, if not necessary, at least difficult to avoid if one is trying to achieve those outcomes).